Orsis (UK) Limited are a leading provider of remote metering and monitoring solutions. 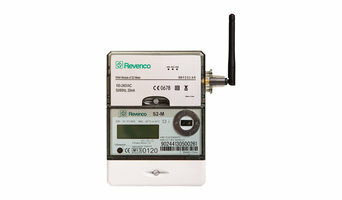 We monitor both generation and consumption of electricity, gas and water. In addition we monitor environmental factors such as internal and external temperature, relative humidity and CO2. A recent growth area is remote heat metering for the Renewable Heat Incentive (RHI). Orsis have remote solutions for monitoring the impact of ECO measures, impact assessments and for any other energy saving measures that may be implemented. Data gathered can be displayed on our online monitoring platform or fed to third party monitoring software. Regarding renewables we currently help to manage over 25,000 solar PV installations throughout the UK and have claimed over £20m in Feed in Tariff to date. We have a number of successful large scale PV projects, both in the social housing market and on behalf of investors and recognise the importance of revenue protection, accuracy and support to help protect the investment. Orsis work in partnership with customers, tailoring each installation to the specific requirements for each client. Rather than just selling equipment, we work together to provide a total solution to enable clients to maximise their potential for energy saving, ROI and cost effectiveness. A renewable energy company that works with both residential and commercial customers showing them both the financial and economical benefits of renewables. Domestic solar panels are becoming more popular as solar panel installation becomes easier and homeowners become more energy aware. If you’re thinking of installing a renewable energy system, then talk to Leeds, West Yorkshire solar panel installers to see how they can save you energy and money. Browse the list of Leeds, West Yorkshire solar panel companies on Houzz to see portfolios, ratings, recommendations and reviews from previous clients, and find contact details online. A solar panel installation contractor will be able to install home solar panels that will produce energy to power either your electricity (solar PV) or your hot water (solar water heating system). After the installation costs, you won’t need to pay for the energy you use as you are, in effect, producing it yourself. And even better, if you produce more energy than you need and feed it back to the national grid, then you could receive money from the government’s Feed-In Tariffs (FITs). What’s more, solar energy is a renewable energy that will last longer and be more environmentally friendly than traditional energies such as coal, oil and gas. All the more reason to talk to Leeds, West Yorkshire solar panel companies and hire Leeds, West Yorkshire solar panel installers to fit them for you. There are three main types of solar panel PV (photovoltaic) panels that can generate electricity for your home: monocrystalline, polycrystalline and hybrid. The basic monocrystalline celled panels are fairly efficient but will be more expensive than polycrystalline, which are a little cheaper. Hybrid panels use crystalline cells with a thin layer of film which attracts more energy. This makes hybrid models the most efficient solar panel installations, but also the most expensive. To talk about which panels are best for your home and how much energy solar panels produce, contact Leeds, West Yorkshire solar panel companies and installers on Houzz. 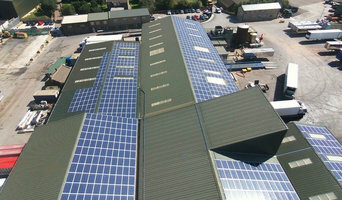 If you want a solar panel installation designed for your new house or renovation then you can discuss bespoke plans with Leeds, West Yorkshire renewable energy installers, but you may also want to involve other contractors, builders, roofers and specialists whose work could overlap. Here are some related professionals and vendors to complement the work of solar energy installation: Lighting, Swimming Pools & Hot Tubs, Electricians. Find solar panel installers on Houzz. 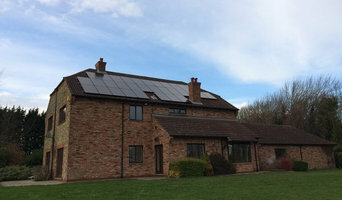 Search the Professionals section for Leeds, West Yorkshire solar panel companies and solar panel installers or browse Leeds, West Yorkshire photos of completed solar panel installations and look for the solar energy contractor’s contact information.